A whole new world of synth tones. 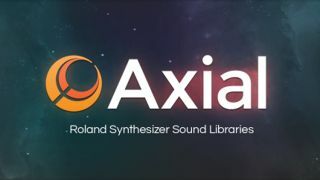 Roland has launched Axial, an official portal that enables you to download free sound libraries for your Roland synth. As things stand, supported instruments are the Integra-7, Gaia SH-01, Jupiter-80 and Jupiter-50. The current Roland synth range, in other words. The collection runs the gamut from emulations of analogue classics to more contemporary tones, and libraries are grouped by genre and 'concept'. Demo video and audio and clips are also available. Get started at the Axial website.